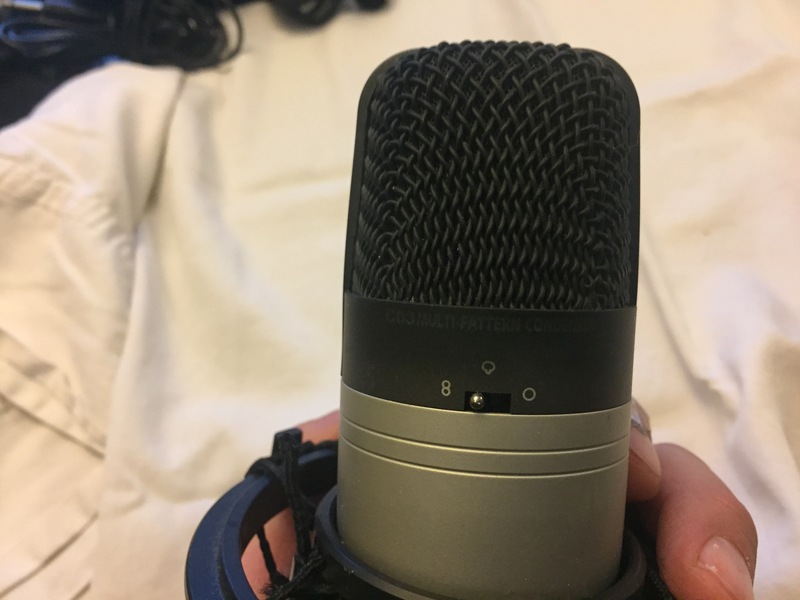 Samson C03 mic. This is the XLR version not the USB version. Standard XLR connection. 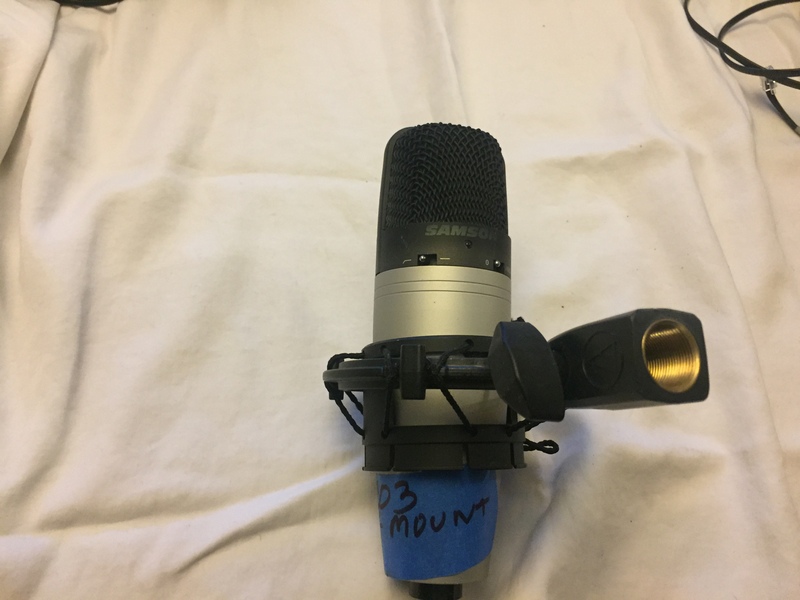 Great little affordable condenser mic. The included shock mount is free or throw it away if you can't use. The bands need to be replaced but I am including should you want to repair the mount.